Instagram Stories for Real Estate Leads, How This Agent is WINNING! Home » Blog » Agent Success Series » Instagram Stories Real Estate Leads, Early Adopters WIN! We ran an ad for $25 for four days and got 5,000 views,128 clicks, and 12 registrations. Hey everybody. Welcome to this week’s show. I’m excited to have you guys all on here. For those of you that are listening for the first time, this post is from an original podcast. I also have a blog video series that goes along with it where we are talking specifically about lead generation for real estate. I don’t know all things about lead generation. My specialty is generating leads from the internet, specifically through Search Engine Rankings and Social Media. But there’s a lot out there that I haven’t learned yet. So by bringing on other real estate agents on that specialize in a specific type of lead generation or have had some success with something new that they’re trying, we all learn. I like to bring them on to have them share with us what it is that they’re doing. Some of the agents that we interview are doing 24 transactions a year, and some are doing several hundred a year. And today happens to be one of the several hundred. I have John Verdeaux on the call with me today. He is partners with Holli McCray. 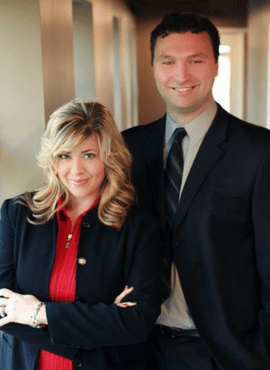 They are actually married and they are the number one real estate team in Tennessee. Last year they did 406 transactions, which is super exciting. They’re big, big producers, and John is somebody a lot like me, generates a lot of his leads on the internet. Lori Ballen: All right. This is very interesting. I know you guys personally, so it helps me a little bit with knowing how your team is wired a little bit. You guys have several streams of leads coming in, several different sources, and web is one of the larger ones that you guys do. You also do radio. You have an ISA team, and of course, you’re doing sphere of influence and agent referrals. Is there anything major that I missed? Oh, pay-per-click marketing. Is there any other type of lead gen I didn’t mention? John: No, those are the top sources. Those are the places we generate the vast majority of our business. I think you pretty much covered it there. 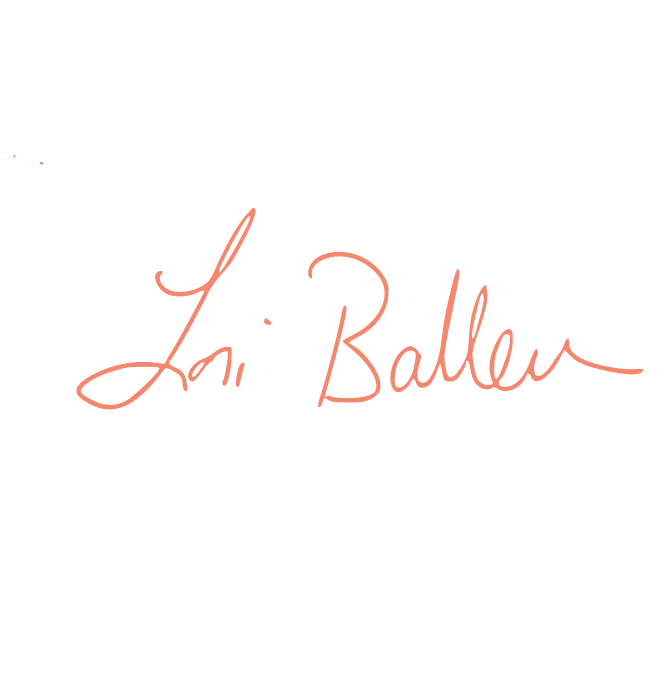 Lori Ballen: All right. You told me that 20% of all of your buyer leads are coming from social media ads, and 6% of your listing leads are coming from, also from social ads, which is also huge. For the people that might hear 20% and 6% and automatically favor the buyer side, but most of us would raise our hands all day long for 6% of the listing side to be generated, because that’s, we all know, is where the money is, so that’s also really incredible. Specifically, we focus mainly on Instagram and Facebook. We create our own ads on both platforms routinely. We have our own system of generating buyer and seller leads. We treat each as its own almost apartment per se because the value proposition is completely different and the ad structures are completely different when you’re focusing your attention to try to generate buyer or seller leads. But like I said, we are very consistent and we’re very focused on those two platforms for lead generation. Instagram works a little bit different because there are ways of doing it. If you’re going to, the way that a lot of people do it is they promote posts. They post a video of their listing or they post some sort of content on Instagram. Then you can promote that post directly from the post, but you have to go through Instagram. Now once you created that ad, you can go to your ads manager account and then edit it from there. But in order to create the ad you’ve got to go through Instagram, put the post on Instagram and then create the ad. Now that’s one way of doing it. The other way of doing it is actually creating a campaign like you would for Facebook ads, through your ads manager account on Facebook, and you can set up campaigns and ad groups for things like Instagram Stories, which we started doing too. If you go into your account and you’re looking at it, there are those little stories at the top of your account. They are like little circles and they show different people that you follow. If they’ve posted an Instagram story, you’ll see it up at the top of your account there. They’re a popular way of getting information out to your followers and to keep in touch with people. 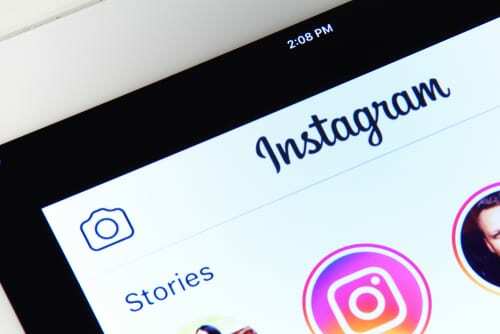 What Instagram has done fairly recently is allowed you to create ads that run specifically with those stories at the top, and the reason being is because there are a lot more eyes on Instagram stories than there are on the traditional posts based on the statistics. Instagram has now monetized that, or Facebook I guess, they’re one and the same in terms of the paid business portion of it. You can run those ads on the stories and get a really great audience in terms of eyes looking at those ads on Instagram as opposed to just Facebook for those ads. Instagram Stories ads work just like Facebook ads. You can create a specific audience that you can get that ad out to. Same structure, you’re going to go through the ads manager, create the campaign, you’re going to create your audience, just like you would on Facebook. The only difference in that is instead of your placement being on say Facebook mobile, or the audience network or something like that, you’re going to specifically be creating an ad for stories. It’s going to say Stories on Instagram when you’re creating the campaign. Everything for that campaign is done through ads manager, and then you’re just basically creating that campaign specifically for Instagram Stories. Your audience could be whatever it wants. It can be location specific. It can be demographic specific. All of the tools that are available on Facebook for refining your audience are available for these ads too. How it works is someone’s scrolling through their Instagram account. They go up to the Stories. They click on one and they start scrolling through their Instagram Stories by swiping left or right, and they also scroll through on their own. So you’re scrolling through your Stories or you’re looking through your daily updates from all of your followers or the people that you follow, and then within that action of moving through the different Stories, your ad will pop up, if that person fits the audience that you’re targeting. Instagram Stories ads aren’t that old in the world of sponsored ads. We’ve been A/B testing a lot and we’re running buyer and seller ads. I can tell you based on the last 60 days of data, the buyer ads that we’re running are doing much better than the seller ads. Our seller ads on Facebook do very, very well, but so far we haven’t quite found the secret sauce on the Instagram Stories ads for sellers. But for buyers, we’re getting a lot of registrations from our Instagram Stories ads. When I started, I just googled Instagram Stories ads and looked at what some of the top companies out there like Coke, Pepsi are using for their ads, and kind of get a gauge of structure from there. It’s very simple. I mean, for instance, the one we’re running right now just says, “Ready to buy a home? Search now.” It’s got a nice picture of a kitchen, and then there’s obviously the swipe up option at the bottom that’ll take you to how the ad works is a swipe. So they swipe up and it takes them right to whatever site you’re generating, you’re trying to get traffic to. It’s the home search site for us. It doesn’t need to be wordy. It doesn’t need to have tons of content. Far less content than Facebook ads, but it’s just very basic, it is very right to the point. So you want a high resolution image. We tried the video and it did okay, but the high-resolution picture of a kitchen or a really nice home and then basic text, like for instance, search now, ready to buy a home, that’s all we’ve got. You can do a little more, a little less. On the click, we’re basically going to send them to a very generic link that’s going to get them to start searching for properties within the audience area that we’re targeting. For instance, we live in Knoxville. So the link that they’re going to go to will take them immediately to homes that are for sale in Knoxville. We don’t want to get too specific because we don’t really know, unless what the price point they’re looking at, but you got to make sure that wherever you’re sending them it’s giving them immediately what they’re looking for. For home search they swipe up, homes to look at, and should have the search customization features on your IDX page available so they can start customizing. The campaign set up is almost exactly the same structure and everything, except you’re running in the Stories ad. The setup part is almost identical in terms of setting up the audience. If you understand how to do that on Facebook, this should be a breeze for you. Where it gets, it’s different is actually when you’re creating the actual ad. The size of the photo is a lot different. You’re going to have to keep that in mind when you’re creating your because you’re going to have to do some Photoshop ahead of time. If you’re going to do a photo for example, you’ve got to put your text on that photo and Photoshop it on there before you actually upload it to your Facebook. I’ve run all sorts of different ads at this point. Just like Facebook, every few days you got to change them up anyway because they get stale. We don’t run an ad more than or we don’t run the same ad more than five days. After five days we’re going to change it up with a new photo and a new value proposition maybe. Because what happens is the same people are seeing those ads a lot of times, and if it’s the same thing over and over again, its effectiveness begins to deteriorate. So you want to change it up.  In yourAds Manager, in the delivery option, you can view your frequency score. The number there reflects how many times on average your viewers are seeing the same ad. Some Marketers will change their ads when that threshold reaches a certain limit. Ad Frequency can also affect your relevance score, which in turn can affect your ad costs. We’re using professional photos in our ads from our own listings, the nice ones. It’s infinitely cheaper. I think that’s because there’s not a lot of people doing it. You have far less competition. Here’s the reality. Social media advertising is so ridiculously cheap for what value it brings that it’s insane if you’re not doing it. In terms of ROI and in terms of effectiveness for lead gen, it is the best deal out there by far. Lori Ballen: Yes, so long as you’re careful still with, I mean I’ve seen people put some ridiculous amounts of money in lead ads and things or paying through the roof on lead ads because they don’t understand how to set the audience up correctly or they’re choosing too many demographics in their audience, they’re paying too much, or their landing page is terrible, so their relevance score goes down, so there is a little … You’re right. It’s definitely more affordable. You still got to have a little bit of a handle on what you’re doing. Yeah, that’s true, and it takes a lot of TLC. That’s always good to get somebody like Ballen Brands to come in and do that for you if you don’t want to fool with it because it does require a lot of attention. Lori Ballen: Are you looking at this every day, once a week? How often do you visit your account? Lori Ballen: On Facebook or Instagram? John: Both, on Facebook and Instagram. We’re doing some other stuff while we’re doing these. Our sellers are thrilled because they’re getting tons of exposure on their listing too, so it’s a win-win. Lori Ballen: Okay, so let me ask you on those demographics. You’ve got a new listing and it’s in Knoxville and it’s, I don’t even know your guys’ price range, $800,000 house, whatever, it’s a nice one, and you do the virtual tour on it, you run the video ads. It has a link back to more information, and that’s where they register to become a lead, right? Lori Ballen: When you run that ad, who is your target audience? John: Whatever the radius of the city is. Lori Ballen: How far of a radius? John: It depends on the city. For instance, if it’s in Knoxville we’re going to do 40 miles. If it’s in a smaller satellite city, then we might do more. It depends on where it is and what’s around it. Say we do 40 miles in Knoxville, and people who have … You have three options. You have lived in, or recently been to, or currently in. We do people who are currently in, that area, and that’s it. I mean, there really nothing more complicated than that. We’ve tried to narrow it down and refining the range and it’s absolutely killed our conversion. Lori Ballen: Yeah, yeah. That’s what I was going to say. There are a couple things that I’m seeing with the target demographics, and I think there’s a time for it, I think especially with certain seller ones or you’re trying to reach, like if I want to reach teachers and I want to promote the Homes for Heroes program or the Teachers Program, I’m going to target firefighters or I’m going to target teachers or things like that here in Nevada. But when you’re talking about people that potentially might buy a house, the second you check off that little box that says likely to move, the cost-per-click goes through the roof and it completely changes the demographic based on their lifestyle situations. Then you add age. You add income. You add the male. You add female. Every time you add an audience you’re changing your cost-per-click for those demographics. Now you get fewer clicks, you’re not reaching as many people, and it doesn’t necessarily add up to a higher conversion rate either unless it’s a really specialty thing. If it’s a specialty thing and you really need … If somebody’s going to market cat products, they really should choose people that have a cat. But if somebody is going to buy a house, I think somebody in the area is your absolute best candidate. I mean, I do think to myself sometimes like, “Okay, if this is a million dollar home or even a $500,000 home in Vegas,” which is in the mid-range for us, I used to select all the income because I only wanted people that could qualify for that price range, but then I realized I’m actually shooting myself in the foot. It’s kind of like if you sit at an open house you’re probably not going to sell that house. Your goal is to pick up the buyers that come in there and sell them a different one probably. You’re probably going to sell them a different house because that house isn’t going to match something that they want. Well, the same is true with these Facebook ads. If you don’t give them the ability to click through and start shopping for homes, even if they’re in a different price range, you’ve never gotten the opportunity to actually capture that person’s interest that might actually want to buy a house. They just might not be in that price range. John: Right. And you never know if mom’s on Facebook and sees the house and maybe their kids looking for a house or uncle or relative, and oh my gosh. A lot of times you see people tag other people on your sponsored posts, and that’s because they know somebody who might be interested in that property. Lori Ballen: Do you do anything with those tags? Do you communicate with the people that tag at all? John: We try to respond to everybody. Sometimes those tags are a little weird because you really don’t know what their purpose is, but generally we’ll respond back and say, “Hey, if you need any more information about this property, or ones like it, let us know, and we’ll post, we’ll reply back to it.” I would say 2 to 3 times out of 10 we’ll get a response. When you’re targeting your neighborhood think of the age range and the price range of your neighborhood because you’ve got to remember, Instagram is a much younger crowd. It’s fine, it’s great, but are you going to do well luxury homeless things on Instagram? Probably not. A lot of people like it better than Facebook who are younger. I think that you listen to the people that are credible in the world, they think that it’ll eventually overtake Snapchat with the evolution, so not say that’s going to happen but I’ve heard that. So it’s important. Again, now is the time to get in, get your feet wet and get smart about this because this is totally going down another road. But I think over time as larger companies realize that spending their marketing dollars on social media is better than spending it on TV commercials, which I think will happen in the near future, you’re going to start seeing the cost of this stuff going up. And it’ll be like where pay-per-click is now. 10 years ago if you did pay-per-click it was next to nothing in terms of cost, but now it’s expensive. We’ve shifted a lot of money away from pay-per-click in the last I would say six to eight months into social because not only is it cheaper, but our conversion rates are starting to improve on social to the point where it’s not making less and less sense for us to spend the money on pay-per-click. It just depends. With these types of leads, if you have a good follow-up system whether it be automated or through your ISA department and whatnot and a good touch program, that number goes up dramatically. Lori Ballen: Yeah, still as industry averages it’s ridiculously low and I think that’s what people don’t realize, that there really has to be, there just has to be a system in place to actually see these all the way through. You wind up spending a bunch of money, you might be able to capture a lot of leads on one particular ad, but if you don’t have the systems and processes in place it makes it very challenging to get those to the closing table for the ads. Listen to more of our Agent Success Series on Youtube, The Blog, and the Podcast. Lori Ballen interviews John Verdeaux of the Holli McCray Team on his success with Instagram Stories. "We ran an ad for $25 for four days and got 5,000 views,128 clicks, and 12 registrations."